Gordon joined KARE 11 in November of 2016. His broadcasting career has come full circle, as he first interned at KARE 11 nearly a decade ago. He returns to Minnesota after spending four years at the ABC station WKOW in Madison Wisconsin. 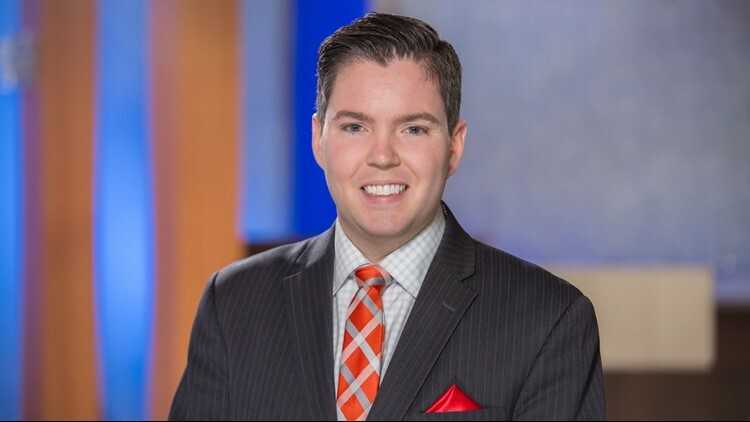 He also worked at ABC 6 News in Rochester, Minn.
Gordon is currently wrapping up a master’s degree in Strategic Communication at the University of Missouri. He received his undergraduate degrees in Broadcast Journalism and Film Studies from St. Cloud State University. Gordon is a born and raised Minnesotan. He’s thrilled to be working in the Twin Cities again and looks forward to meeting many of you! Feel free to e-mail him anytime at gseverson@kare11.com with story ideas or just to say hi! When I was young, I wanted to be: At first I wanted to be a video game tester, because the thought of playing video games all day for a living seemed like the best job in the world. In middle school I wanted to be either a Hollywood movie director or a TV personality. I couldn’t decide between them when I started college, so I decided to major in both. Now I get to live my dream and tell captivating stories in the community I grew up in. Describe your perfect day: Wake up, grab some coffee at a local coffee shop. Spend the morning at a local farmer’s market with my wife and son. In the afternoon, visit a local vineyard or winery. In the evening, head to a Twins or Saints game, afterwards grabbing dinner at a local restaurant. Favorite vacation spot: Sonoma County. My wife and I visited the California wine country during our honeymoon. The beauty of the vineyards and the coast was amazing. We ate a lot of great seafood. We also got to see the San Francisco Giants and Oakland Athletics play. I would highly recommend it. Favorite sport to play: I’m a big runner. I ran Rochester’s Med City Marathon in honor of my late grandma a few years ago. I’m also an avid golfer. Growing up I lived next to one golf course and worked at another one (I got a lot of free golf when I was a kid haha). Lately I’ve been focusing on kickball after a friend of mine asked me to join his team. We’re called the Bundt Cakes. Favorite story you ever worked on: So hard to choose a favorite. Last time I counted I’ve worked on nearly 3,000 stories so far. Some highlights would have to be tracking bald eagles in a small engine plane with the Wisconsin DNR a few years ago. I also got to fly to Washington D.C. with a group of WWII veterans as part of Twin Cities Honor Flight. Why do you like your job: I love to experience new things. I get to experience human beings when they’re at their best and when they’re at their worst. My job gives me a front row seat to everything that’s happening in our society today. I love meeting new people and being able to share their stories. Family: My wife and son. I also have two amazing parents and a brother and sister who get to watch my work every day. My wife’s family is also incredibly supportive.